The Mayos, an indigenous people of northwestern Mexico, live in small towns spread over southern Sonora and northern Sinaloa, lands of remarkable biological diversity. Traditional Mayo knowledge is quickly being lost as this culture becomes absorbed into modern Mexico. Moreover, as big agriculture spreads into the region, the natural biodiversity of these lands is also rapidly disappearing. 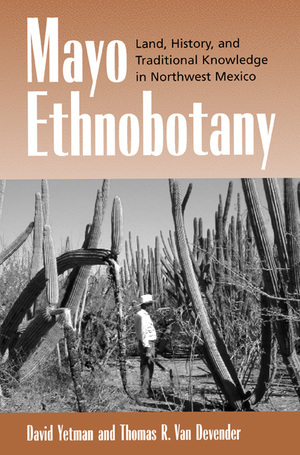 This engaging and accessible ethnobotany, based on hundreds of interviews with the Mayos and illustrated with the authors' strikingly beautiful photographs, helps preserve our knowledge of both an indigenous culture and an endangered environment. 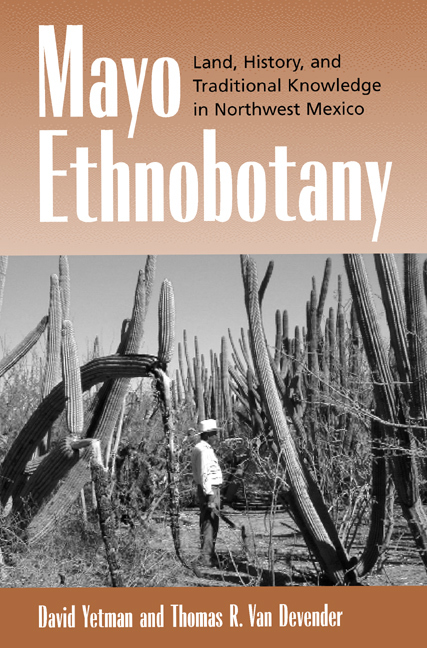 This book contains a comprehensive description of northwest Mexico's tropical deciduous forests and thornscrub on the traditional Mayo lands reaching from the Sea of Cortés to the foothills of the Sierra Madre. The first half of the book is a highly readable account of the climate, geology, and vegetation of the region. The authors also provide a valuable history of the people, their language, culture, festival traditions, and plant use. The second half of the book is an annotated list of plants presenting the authors' detailed findings on plant use in Mayo culture. David Yetman is Associate Research Social Scientist at The Southwest Center at the University of Arizona and author of Where the Desert Meets the Sea: A Trader in the Land of the Seri Indians (1988), Sonora: An Intimate Geography (1996), and Scattered Round Stones: A Mayo Village in Sonora, Mexico (1998). He is host of the PBS series "The Desert Speaks." Thomas R. Van Devender is Senior Research Scientist at the Arizona Sonora Desert Museum. He has published many articles on the ecology and evolution of the Sonoran desert and has done pioneering research to determine ancient climates and vegetation change through studies of packrat middens.